After what can only be dubbed an organizational fiasco, we somehow managed to get beneath the stage where one of Rap’s greatest icons was due to perform. 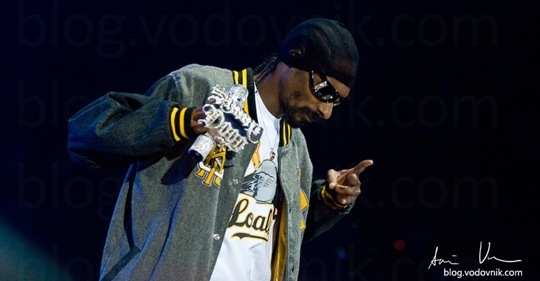 Snoop Dogg himself. I’m not much of a rap fan myself but I must admit I kind of liked the ambience he created – being high or not. Under the stage, there were waaaay to many “photographers” and photographers, as well as camera guys, mobile phone guys, fans and everything else. It was impossible to work normally. Trying to actually capture a good photo was hard, if not impossible because someone always jumped into your frame. So the only thing left to do was capture snapshots. _Yes, that’s how it looked under the stage._It was exactly the same in the other direction as well. 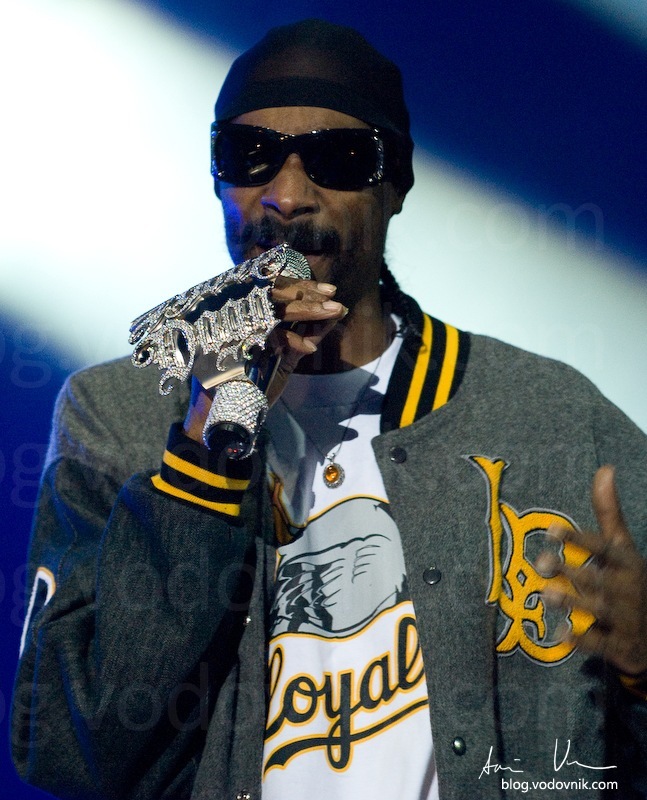 Anyway, Snoop wore glasses during the first two songs we were allowed to photograph – when he later took them off, we realized why :-). What struck me was how huge his microphone is :). Well, the diamond coated holder for his microphone actually. It was a pain just getting to focus on his eyes, er, glasses :-). 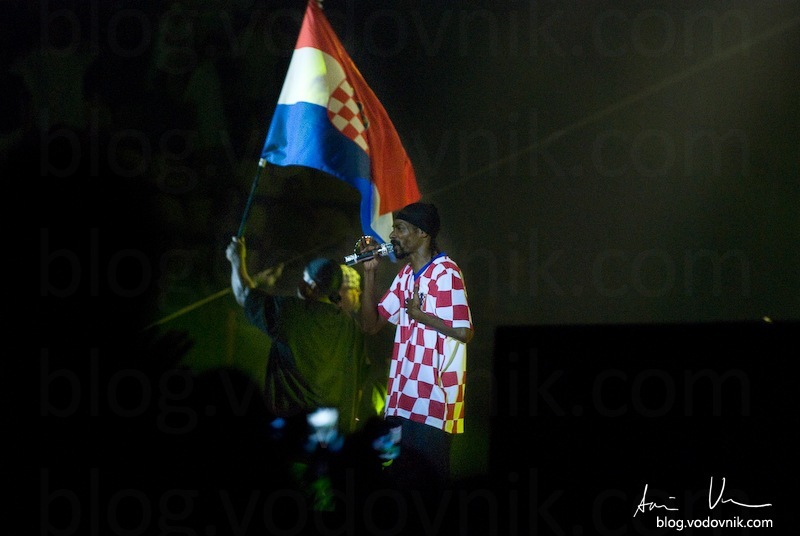 After a few songs he said “Let’s make these guys jump”, then he disappeared from the stage and repapered in a Croatian football dress. 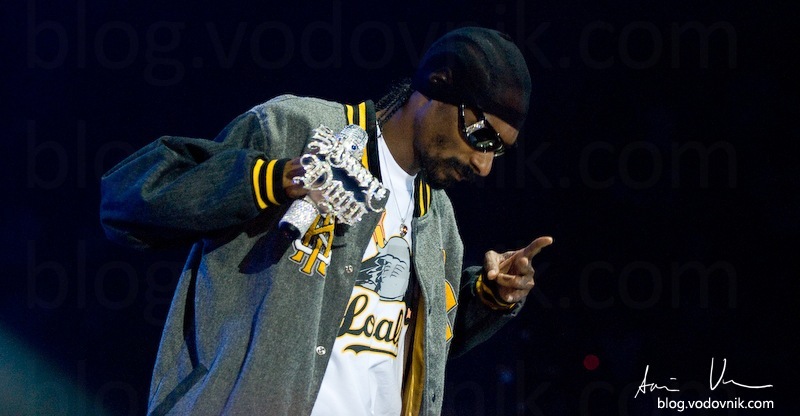 Snoop is a big fan of football, and the organizers gave him a “checkered dress” with his name. He really did make everyone jump. All in all it was a great concert and a fun experience, again.